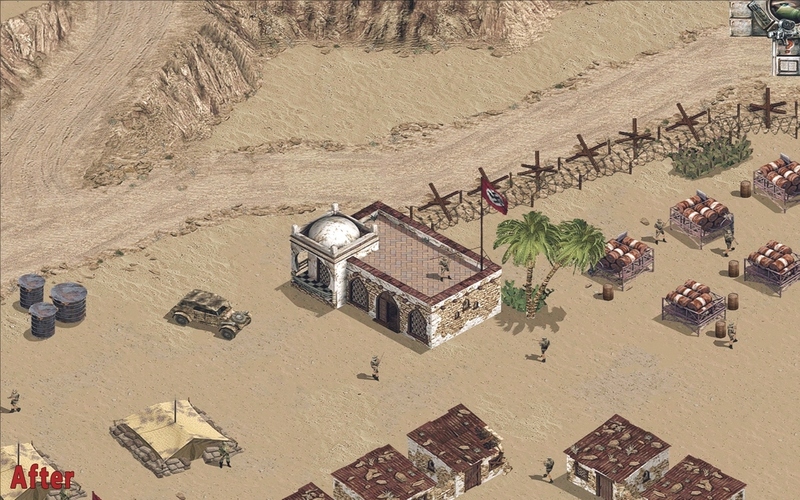 COMMANDOS HD Project is the new project that is committed to bring back the old COMMANDOS to DirectX11 with a totally updated graphic in HD resolution compatible with modern video cards. 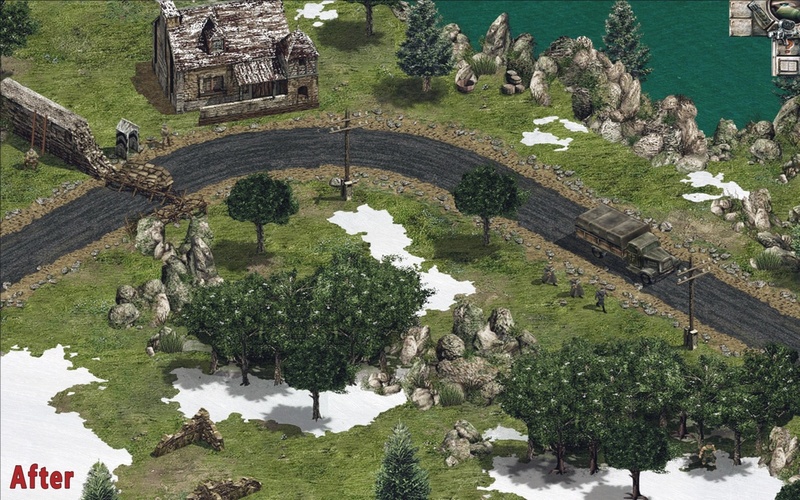 At the page below you can try a preview release of the restoration of Commandos with C2 engine (revisioned DP maps). The current version contains all missions but only Norwey and African missions have HD textures for now. For installation, you can extract it to any folder and play in standalone. You must have graphic card with DX11 compatibility and WMV codecs installed on your system too. There will still be addons that will fix any problems and will update the 0.5.x version up to version 0.6.0. Next version will be more substantial. 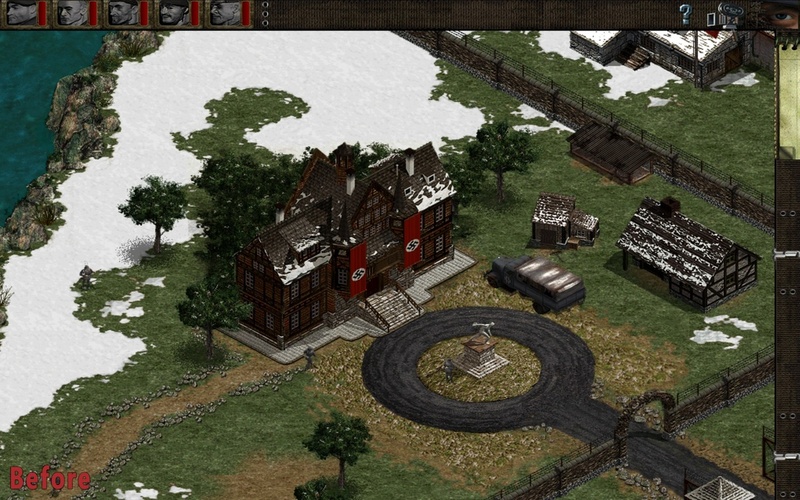 If you like this mod, consider the idea of making a donation (even symbolic) for the big work done, thank you. You can activate cheat mode. To do this, during gameplay, type "HDPROJECT" and cheat mode will be activated. Edited by stankan, 23 July 2017 - 09:14 AM. Good work. I like the idea of remake in c2 engine with original enemies also. But you should add crash fix. (Crash bug that happens when commando die off screen in 1 view maps, by putting fake 2 or 4 views). Edited by robb, 13 March 2017 - 02:24 PM. English version available for download! Impressive comparision, hope this changes does not affect gameplay stability while online..
Update: English version 0.2 available for download! Edited by stankan, 24 April 2017 - 10:01 PM. So good work. I like so much the changes. 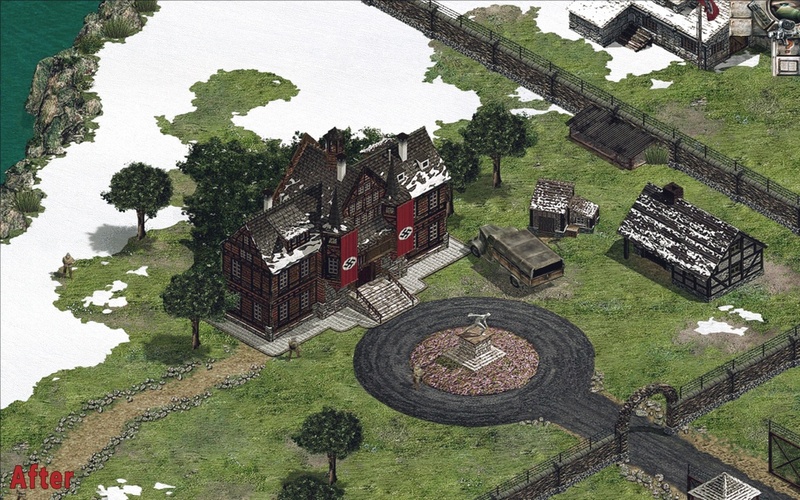 will you let destination paris update his maps with your hd work? Update: English version 0.3 available for download! Edited by stankan, 24 April 2017 - 09:36 PM. Tell me, when you have started this project? 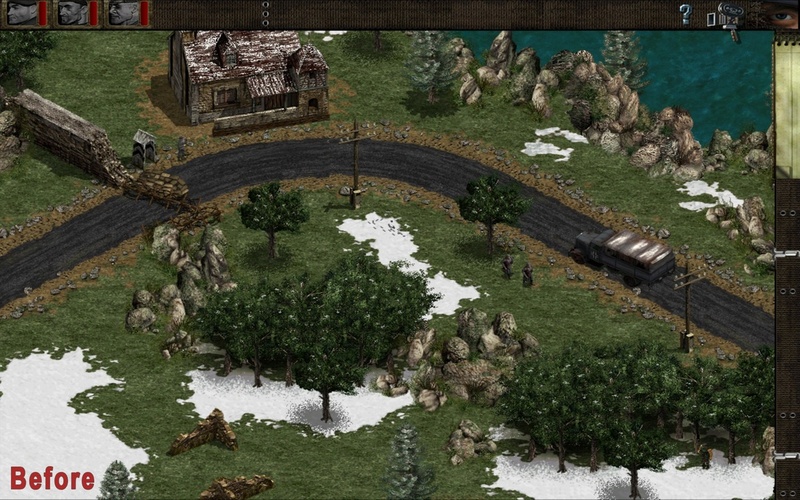 I started in January but I was working on the classic version of commandos 1 long before. 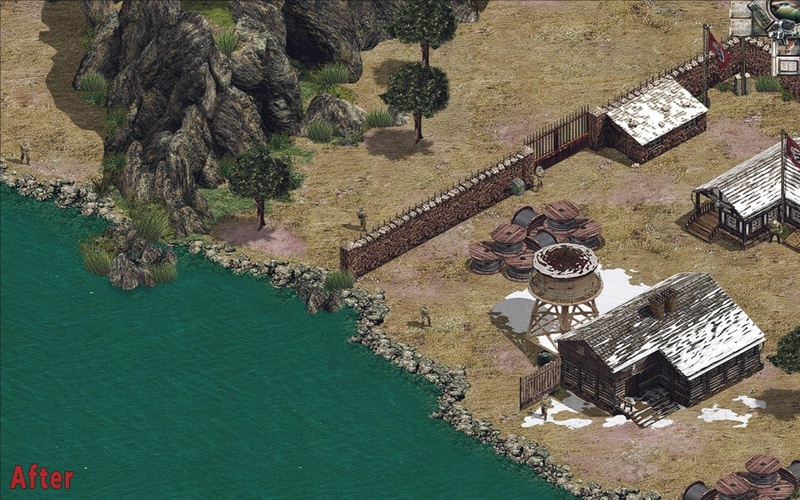 Update: English version 0.4 available for download! Edited by stankan, 23 July 2017 - 07:51 AM. Keep em coming. That sure looks bonkers, like the lighter water; gives fair illusion of freezing cold which is the self aim of "painting" map sections in bare snow. .
Update: I'm sorry. Version 0.4 presented bugs that I have now fixed. Please download the new version 0.4.1. I apologize for the inconvenience. Taking your time update us on the ongoing progress, thanks man. Edited by Zakxaev68, 27 April 2017 - 09:21 PM. Installed the mod and played the first three missions without problems, but at the fourth mission the game crashes when i try to use the tank at the beginning of the mission. Anyone has this problem and knows how to solve it? Edited by motishow, 20 May 2017 - 03:43 PM. On retail armored truck rather useless, if not for cover near the barbed wire where rails are. Why you risk drive that, bridge patrol can sound alarm once you get caught driving mad max style. Survived in one sitting? Bravo, pain in the arse that mission. Edited by Zakxaev68, 21 May 2017 - 03:02 PM. 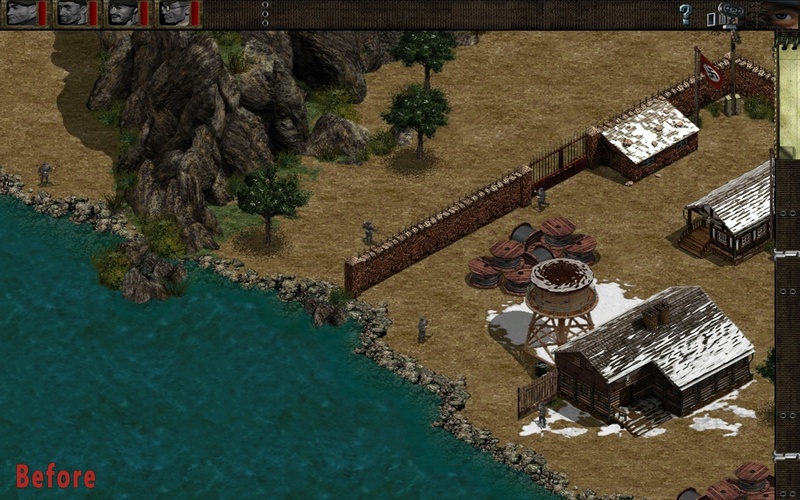 0.5 version of COMMANDOS HD Project will contain many bugfixes. Stay tuned. 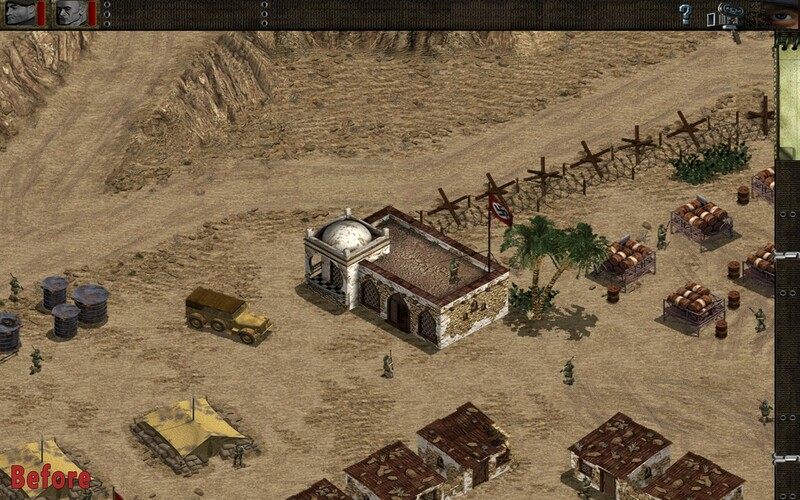 0.5 version of COMMANDOS HD Project will contain 'many bugfixes. Stay tuned. Thanks a lot!!!!! any new missions in the update ?